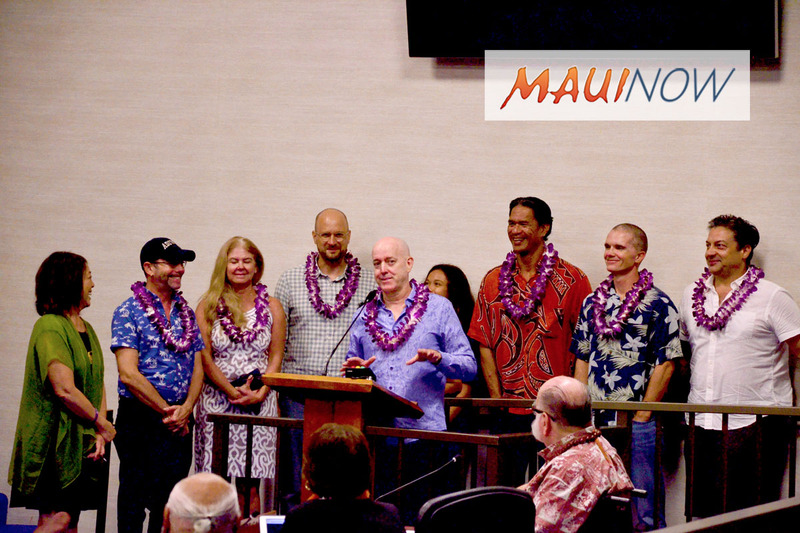 The cast and crew members of the Maui-made film KULEANA were honored today with a ceremonial resolution before the Maui County Council for recent accomplishments and awards. The recognition comes after a strong opening weekend  in Hawaiʻi, with Regal theaters across the state holding over the film. The positive performance has led to the film’s opening in three additional Oʻahu theaters today. 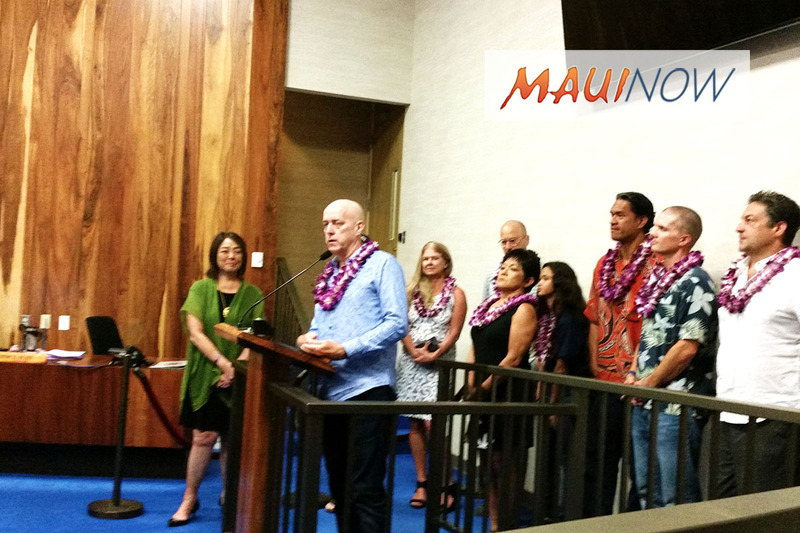 Wailuku filmmaker Writer/Director Brian Kohne  addressed the council calling his work on the film, “a real labor of love.” “KULEANA is not a burden, but a privilege,” he said. “It took the support of the entire community with more than 500 members of the community having contributed. This past Monday, we held over… The first weekend went well. We’re hoping the second weekend is even better,” said Kohne. According to Kohne, this puts the Maui-made film in a position to initiate the conversation with Regal to open on the mainland and in other markets outside of Hawaiʻi. While council members spoke widely of the film’s historical look at the bombing of Kahoʻolawe, it was just one of the many issues touched upon in the movie. Maui’s Kathy Collins, who was an Associate Producer for the film said the film also explored what it means to be local, what it means to be Hawaiian, touched upon political issues of long ago, and shared an underlying theme of aloha. “There’s so many layers , you’ll probably want to see it several times,” if you haven’t already, said Collins. KULEANA was set on Maui in two time periods (1959 and 1971) and features an all-Hawaii cast . In the film, a disabled Vietnam veteran rediscovers the Hawaiian warrior within to protect his family, defend their land, and clear his father’s name. Today’s resolution specifically acknowledges KULEANA for winning the Best of Festival award at the 7th Annual Guam International Film Festival on Oct. 2, 2017. The festival is the first and only annual US film festival in the western Pacific, and strives to capture the passion and spirit of independent filmmakers and their films. 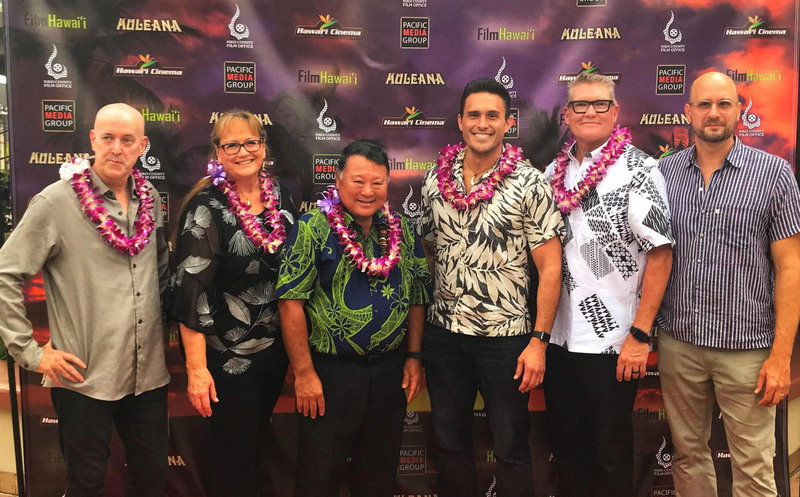 KULEANA also won the Audience Choice award at the Maui Film Festival, San Antonio Film Festival, and Santa Cruz Film Festival; and the Best Feature award at the Tribal Film Festival. The film opened in eight theaters across Hawaiʻi on March 30, 2018, and according to the resolution, will also premiere in theaters across the country starting April 13, 2018. 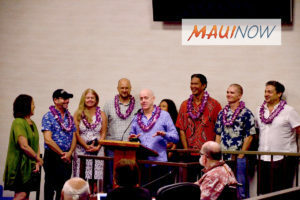 “The dedication and tireless efforts of the cast and crew of KULEANA have brought pride and honor to the people of the County of Maui,” the resolution states. Certified copies of the resolution were transmitted to Brian Kohne, Writer/Director; Stefan Schaefer, Producer/Actor; Adi Ell-Ad, Editor; Byron Warner, Executive Producer; Susan Naylor, Executive Producer; Clyde Ota, Executive Producer; Branscombe Richmond, Executive Producer/Actor; Kathy Collins, Associate Producer; Johnny Wilson, Sound Designer; Willie K, Music Composer; Moronai Kanekoa, Actor; Kainoa Horcajo, Actor/Cultural Liaison; Wayne “Vene” Chun, Actor; Steven Dascoulias, Actor; Kealani Warner, Actor; Teena Rasmussen, Economic Development Director, County of Maui; and the Honorable Alan M. Arakawa, Mayor, County of Maui.